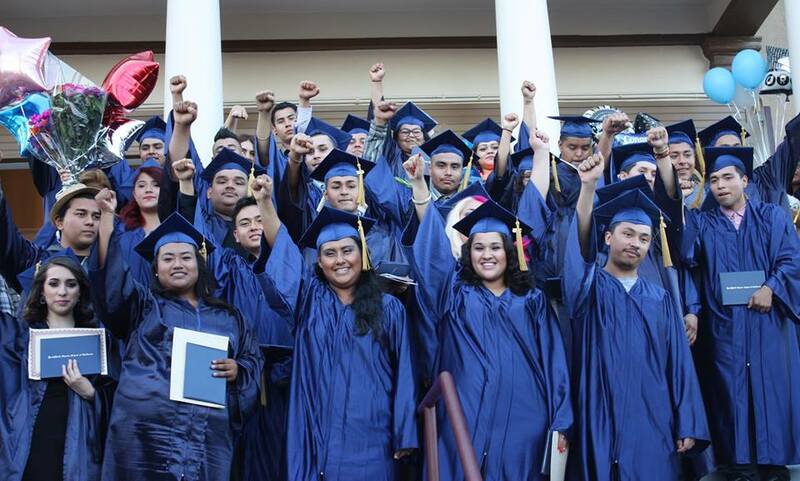 In partnership with YouthBuild Charter School of California, CALO YouthBuild provides an accelerated track toward a high school diploma for youth between the ages of 16-24. To graduate, youth must earn a minimum of 200 credits and pass both the English and Math CAHSEE. Every three months, students may earn up to 35 credits. We offer free CAHSEE tutoring and an opportunity to take the CAHSEE five times throughout the year for free. Our curriculum is interdisciplinary and project based. Students demonstrate their understanding of math, science, English, and social studies by creating projects that are of service to the community. Our projects are creative, engaging, and authentic. In 2015, we graduated 36 of our seniors. Please support us as we recruit new members for the 2015-2016 school year. To enroll, contact us at (323) 261-2800. Hello Russell. You can contact us at (323) 261-2800. We will provide you with more information. I went to high school in the past but I did not finish it. But for me english is not a problem I will give my everything. But it is a problem for the school?